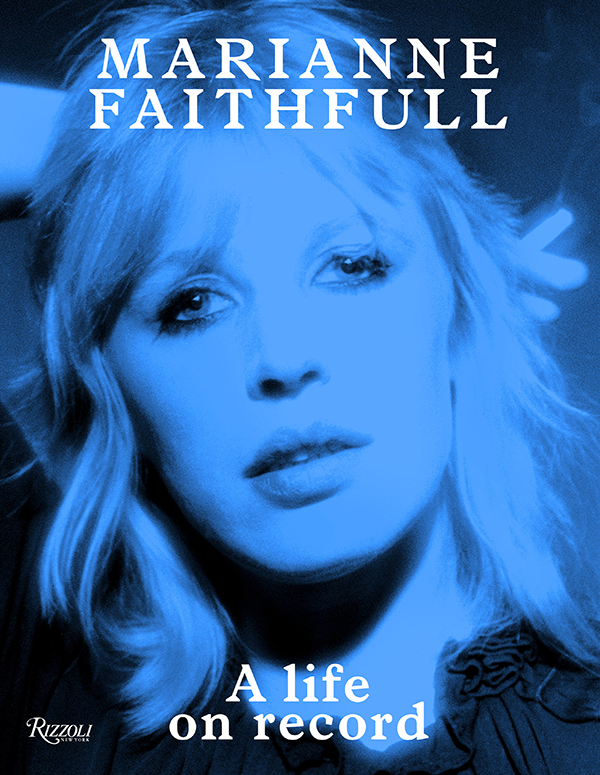 In A Life on Record Marianne Faithfull takes us along for the ride that is her life in pictorial form. The oversized book published by Rizzoli on the occasion of the artist’s fiftieth stage anniversary last year is the celebration of the life of a woman who has seen and done it all. After two comprehensive autobiographies the photo book eagerly awaited by fans is finally here. Beginning with vintage shots of the singer’s mother Eva—who in her youth was a dancer in Berlin and Vienna—the reader is led more or less chronologically through each decade, with the overall narritive feeling a bit unstructured. Portraits by renowned photographers like Helmut Newton, Ellen von Unwerth or David Bailey are featured alongside personal, never-before-seen snapshots, artwork and newspaper cut-outs which give the book a very personal feel, like looking at a photo album with an old friend. There are a few rarities and surprises even for die-hard fans who will be familiar with most of the portraits shot by the renowned photographers. The subject herself comments sparsely, but often humourously, on the content in the form of handwritten captions. A special treat are the photos taken of Faithfull’s Paris apartment, featuring her own collection of artwork by artists such as Francis Bacon or Richard Hamilton. 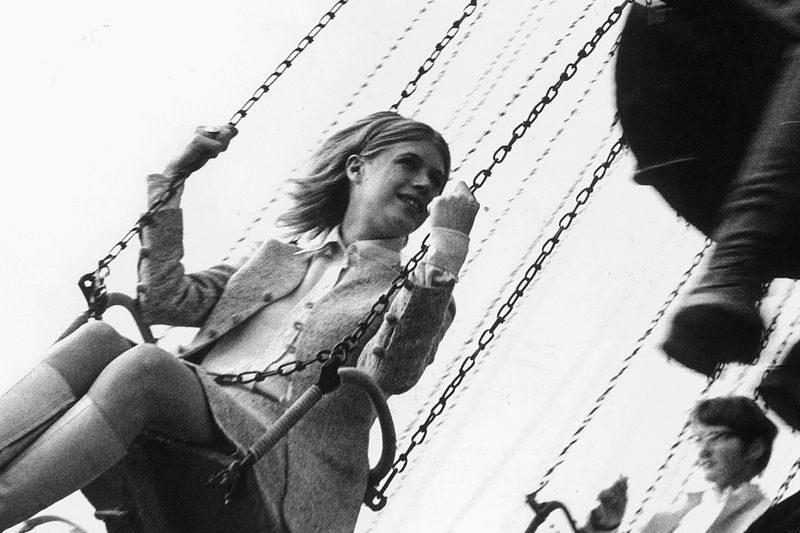 An introduction by Salman Rushdie and two essays by Will Self and Terry Southern respectively provide context for the melangerie of visuals that might otherwise be confusing for readers not as familiar with Faithfull’s career. Top image: Courtesy of Marianne Faithfull/Rizzoli Publishing. Special thanks to Sarah Bogart. A very well written review, thank you! Marianne is a great role model. The song she sings by Jarvis Cocker is not quite accurate. We don’t want to live a life like hers because she got by on charm. We want to live a life like hers because she got by on her wits, on her talent, on her honesty, and in her courage. Also on her persistence and her drive. Who wouldn’t want to be the coolest rockstar on the planet at 69 years old, her star is still rising! How does she do it? Why should any of us strive for anything less? I’m glad you enjoyed the review! I think that her song “Sliding Through Life On Charm” is meant to be very sarcastic. They lyrics are what she has to say to people who think she didn’t work hard to get where she is now. Jarvis wrote it brilliantly. It’s unique when an artists sings a song written by someone else from the singer’s perspective. I think she said once it took her a while to understand it. I think she sings it with irony, which is slightly different than sarcasm I guess. She sure is a charming and beautiful lady. I love how she also has the record for being the first woman to say the F word in a mainstream film. I would have to fact check that though, lol. Ah, you’re right, I switched up the words in my head! Actually I’m not sure about the F word thing either, but I’ll look into it for one of my “Faithfull Facts” on Tumblr.